Based on a play by J.C. Lee (Warplay, Pookie Goes Grenading), this talky drama positively smolders from beginning to end, placing some of the industry’s best talents at odds with one another in a seemingly endless parade of heavily charged clashes. Passive-aggression gives way to aggressive-aggression, while posturing, stereotyping, and manipulation rule the day. Onah’s film follows the Edgar family in the weeks before their adopted son Luce (Kelvin Harrison Jr.) graduates from high school. Luce is a lock for valedictorian, and will have no trouble getting into any university he pleases. What makes Luce different from the rest of his class is his background. Before being adopted at age 7, he was a solider in war-torn Eritrea. Long before he ever learned to write a speech, he learned to use a gun, and while we don’t get any specific details as to what Luce was made to do as a child, the understanding is that it’s not very good at all. When Mrs. Wilson (Octavia Spencer), a particularly nosy teacher, shares a concern about Luce, things spiral out of control quickly. To say more would be to undercut the film’s pacing (which depends entirely on a metered release of plot information), but I can assure you that expectations can be tossed out the window. In fact, this script is designed to play into our collective inclination to make assumptions about others by giving us a ton of potentially damning and ambiguous information about each character, and only lifting the veil at the very end. Even then, there are multiple valid reads on what really happened. Due to the way information is presented, Luce looses some steam in the third act, but I suspect that this issue will clean itself up on repeat viewings — when the viewer already knows how to watch the movie, and can put more focus into reading the details of each scene. The biggest strength here is the performances. 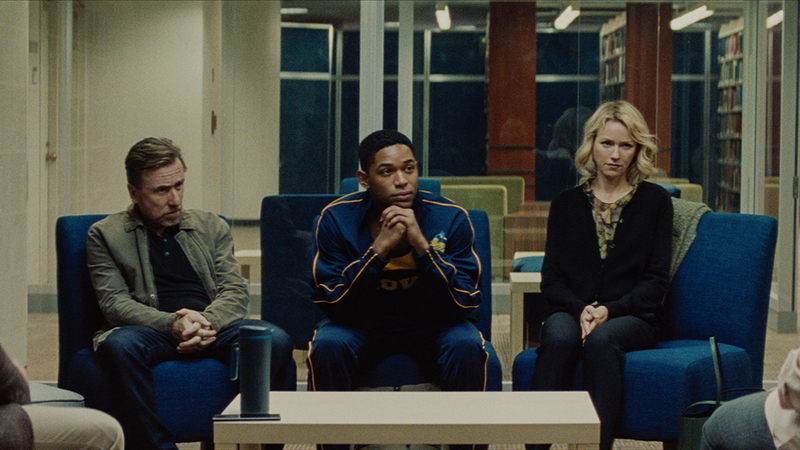 As Luce’s parents, Tim Roth and Naomi Watts (Funny Games reunion!) have created a very genuine depiction of a privileged, well-meaning couple. When their idyllic existence is threatened and their true colors begin to show, the emotional economy they share feels nuanced and genuine, leaving no need for blind exposition on the state of their relationship. The sequences in which Octavia Spencer and Kelvin Harrison Jr. are where the film reaches its highest points. The tension between them is palpable, sordid, and absolutely delicious. The supporting cast brings the fire too. Andrea Bang steals every scene she’s in with an impossible mixture of humor and sadness, and Marsha Stephanie Blake, as Mr. Wilson’s troubled sister, has the thankless task of hitting rock bottom before our very eyes. Like it or not, this film will start many a conversation, and good ones at that. Luce simply must be seen to be believed. Luce was part of the 2019 PFF Spring Fest, April 12-14, 2019. It is scheduled for nationwide release in August 2019.